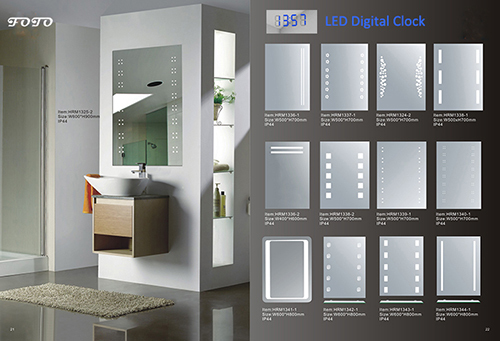 • LED Digital Clock comes with Touch Switch on Lighted Mirror, and adjust clock time by touch switch key. Another, there is one more style - LED Digital Clock comes with Temperature Display and Touch Swtich on one lighted LCD, 24 hours system. 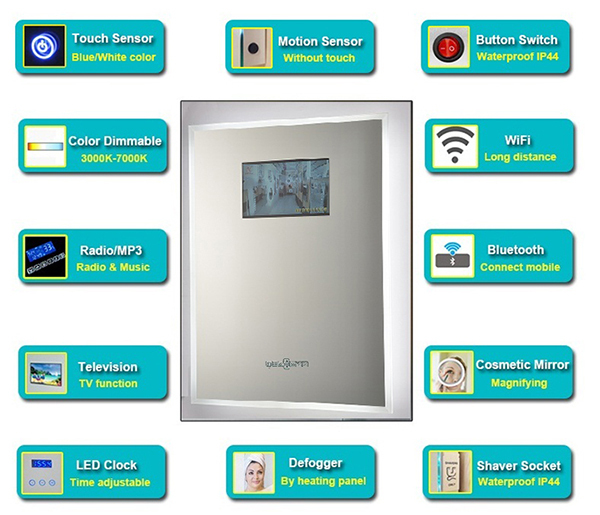 • LED Digital Clock - Encrypted transmission, eminently safe, Extra wide voltage working. • Touch switch - high efficiency, low power, steady current, let LED Lamps not affected by current fluctuation, and guarantee the service life of LED lamps. 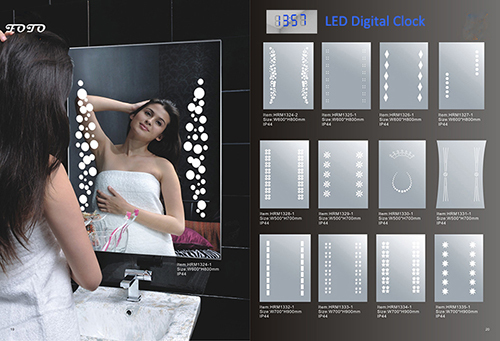 • LED Digital Clock Mirror is future trend of modern bathroom, especially in hotels and public places. Glass Mirror 5-6mm thickness 3rd generation environmental silver mirror, automotive grade float glass, copper free and lead free, anti-corrosion, fingerprint-free. Mirror Size Standard size W24" x H36", W36" x H36", W48" x H36", W60" x H36"; Custom-sized. Lighted Box made of Galvanized sheet Iron & White Baking Varnish Painting, well protected against dampness and corrosion. LED Use Taiwan LED strips. High output 2835 SMD LEDs, 3 chips, 120 LEDs/meter, 20-24lm/pc, CRI>80, ideal for makeup application. Energy saving and long life of 50000 hours. LED Driver / T5 Ballas Built-in MEAN WELL LED driver or T5 ballast, UL / CE certificated. Waterproof IP44 rating, suitable for using in luxury hotel bathroom area 2. Certificate UL, ETL, CETL, CE, RoHS certificated. 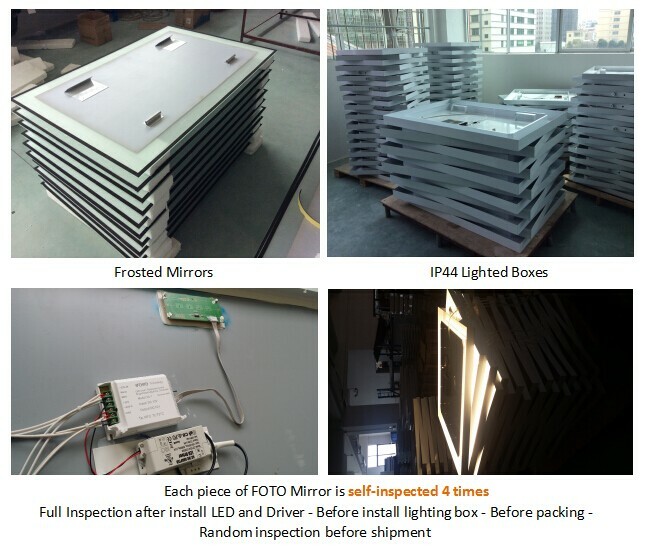 UL/cUL CERTIFICATE FOR WHOLE LED BACKLIT MIRRORS. 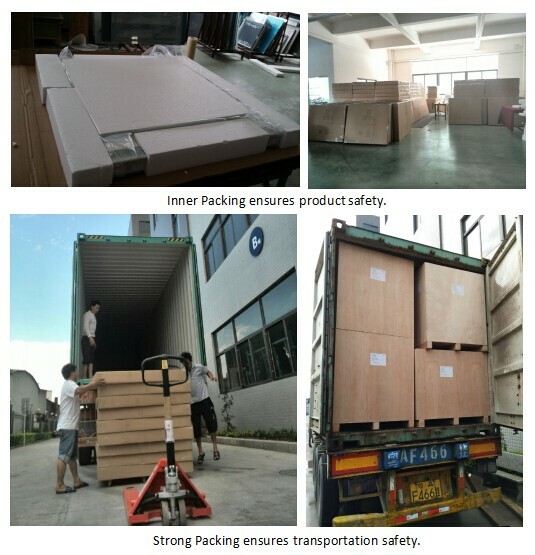 Packing PE bag + all around Polyfoam + Earth carton + Carton box, 1pc/ctn; Wooden Case for LCL or if necessary. 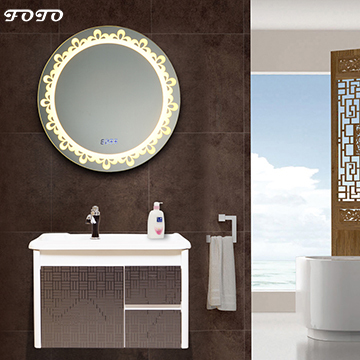 (1) Factory of 10 years experience that specializing in manufacturing lighted Mirrors. and production cost more competitive. 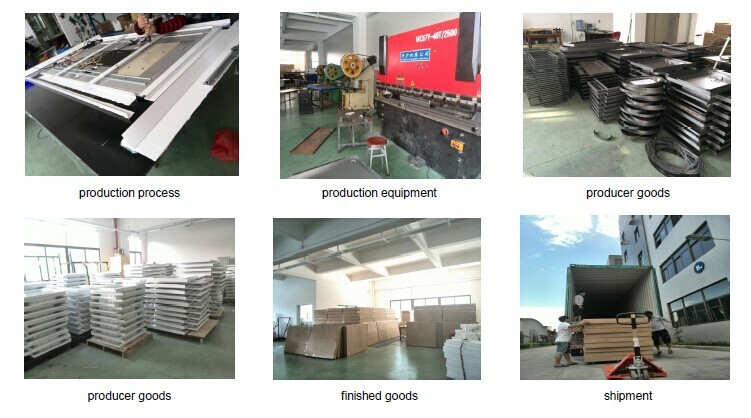 Have our own plant (not rent), 10000 square meter, this makes production cost more competitive. (4) Our focus is on R&D, ensuring that we provide top quality and innovative products to our customers. (5) Our strong point is on customized for customers professionally based on strong R&D team. (6) Skillful workers, strict QC system, to ensure the long-business-relationship on the base of high quality provided. (7) Excellent after-sales service: quality warranty for 3 years. Wooden Case for LCL or if necessary. 1- Since 2006, 10 years manufacturing experience, much more clear about what customers need indeed. 2- UL / cUL CERTIFICATE FOR WHOLE LED BACKLIT MIRROR. 3- Fast sampling, 7 days only. 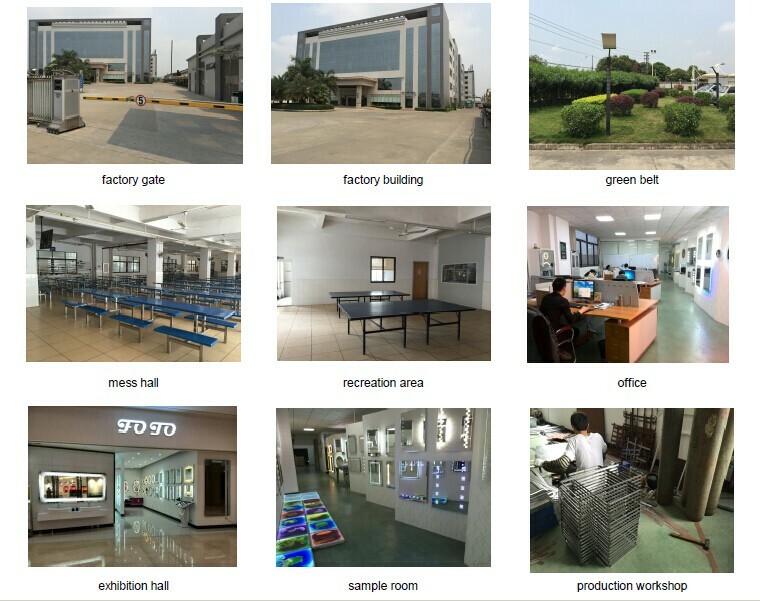 4- Have our own hardware and glass workshop, quality more guaranteed and production cost more competitive. 5- Strong custom capability, work for many famous international hotels and contractors, such as W Hotel, Holiday Inn (IHG Hotel).